Our first stop after picking up the van was to head up the coromandel peninsula and see hot water beach and cathedral cove. The road from Auckland up te peninsula can be a little hairy at times and I think could be a scary first drive in the dark! We stayed at this lovely little campsite (Sea Breeze Holiday Park) which had clean toilets and showers and a kitchen. When we arrived it was about 16:10 and the lady at reception informed us that low tide at hot water beach was going to be at 5am or 5pm over the next day or two. We didn't really fancy getting up to go the next morning to despite the pouring rain decided to head to hot water beach that night. Hot water beach is a beach where, 1 hour before and after low tide, you can dig holes in the sand and the water that fills into the holes is supposed to be hot. We didn't quite know what to expect when we arrived but after parking at the car park and following the line of people walking across the beach we came across a cove which was filled with lots of holes in the sand and lots and lots of tourists. A lot of people in a tiny area! We dug our own hole initially but the water that filled it was freezing! A person beside us told us that the very large hole in the middle of the cove was filling with warm water and to try it. Sure enough, on paddling into it the water was warm - you couldn't actually stand in the centre as the water was so so hot. So our main take away from hot water beach is that you can go in the rain and it's still fun though expect a lot of tourists and you have to hunt around to actually find a hole that will give you hot water! 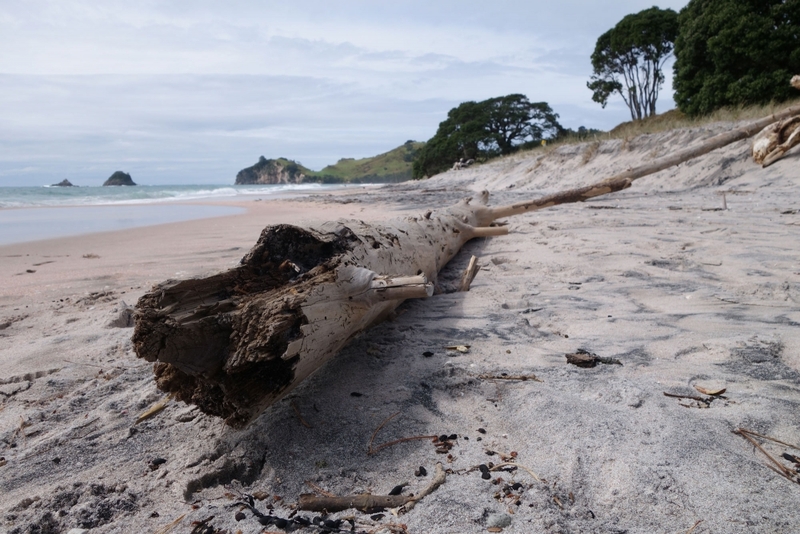 The next day we went to Hahei beach and walked along the cliff walk to cathedral cove. It's a very lovely walk (and luckily we got a nice sunny day to do it) although it can be steep in places. 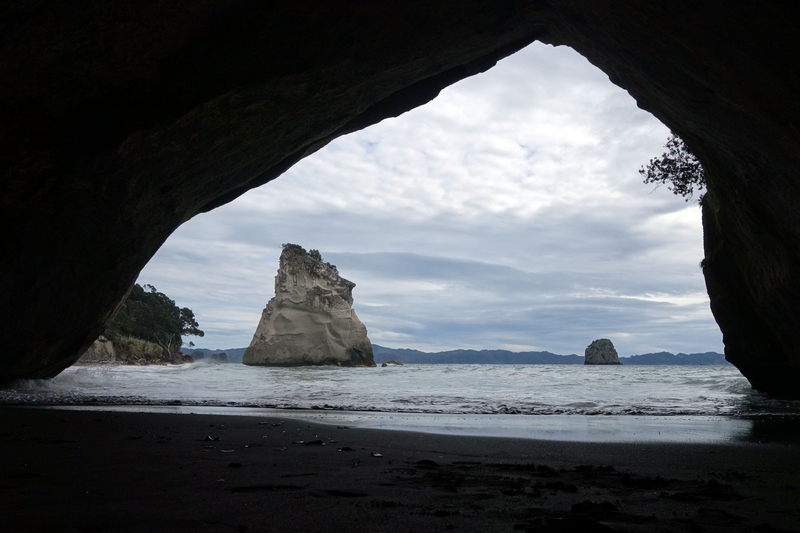 Cathedral cove itself is pretty and the cave made by the sea is quite impressive. The sun had gone in when we reached it and the tide was coming in fast so we didn't spend long there but if it was in summer I could imagine it being a great place to spend the day! 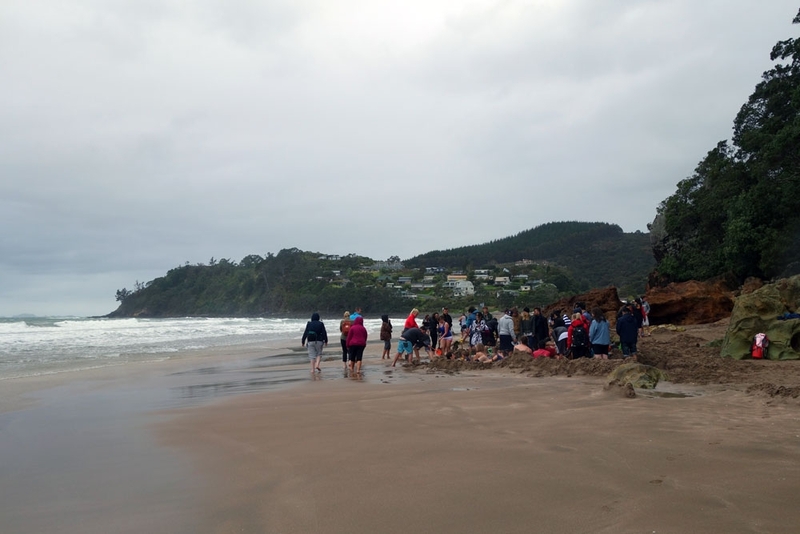 All in all we actually preferred Hahei beach but I think that is to do with the sun coming back out again. 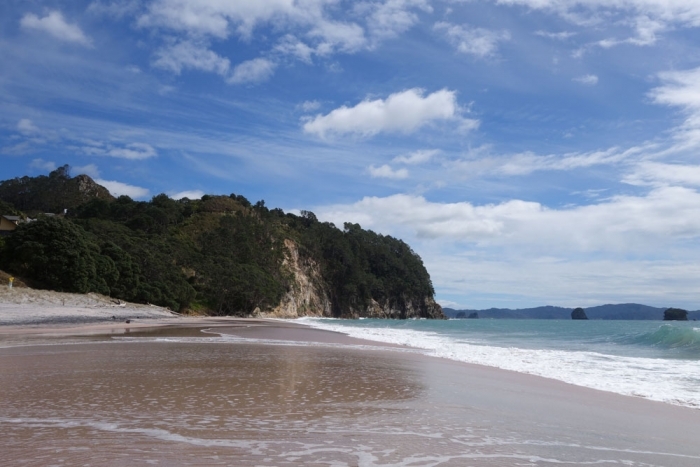 The other option to get to cathedral cove is stopping at the car park specifically for it and the walk is then about half the length of the walk from Hahei.